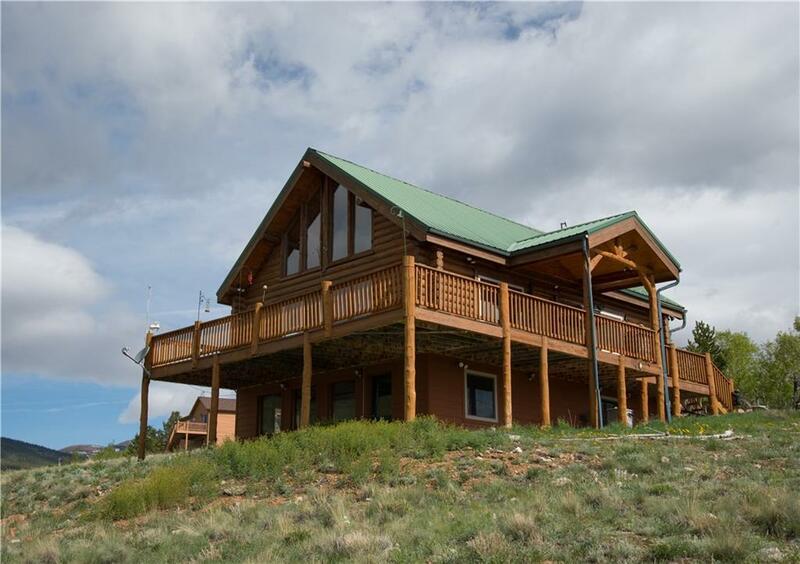 Full Round Log Home with Floor to Ceiling Windows & AMAZING VIEWS! Custom hardwood floors, Corian countertops, split log bar, freestanding gas stove, beetle kill T&G ceiling, large loft, log accents throughout, walk-in cedar lined closet & finished walkout basement. Passive Solar Design with all day sun! Outside features a partially covered wraparound deck, flagstone patio & metal roof. Borders Open Space & has private fishing rights. Gated community & only 45 min to Breckenridge! PRICE REDUCED!